It’s been awhile since How I Met Your Mother made me feel feelings, but I was feeling them by the end of this week’s episode. While previous episodes in HIMYM’s final season offered glimpses of why this show means so much to its fans, Platonish felt like a classic HIMYM episode more than anything else we’ve seen in Season 9. That’s probably because Platonish was a flashback to seven months ago, tucked into a storytelling session between Ted, Robin, Barney and Lily at the Farhampton Inn. The show’s wedding-weekend format has had a flashback here and there, but Platonish was basically a Season 8 episode that got run out of order. Oh, let me clarify that. Platonish may have basically been a Season 8 episode, but if that were the case, it would have been one of the standout episodes of last season, definitely trumping awful moments like Marshall finding his inner diva or Lily having an identity crisis. There were callback to our favorite jokes, a storyline that took place in our familiar places, and the revelation that The Mother played a crucial role in Barney and Robin finally being together. Platonish was a mix of familiar HIMYM storylines — Ted believing he could still have a shot with Robin and Barney’s “challenge accepted” approach to a love life. At first, it would have been easy to groan at these two concepts being rehased in Platonish. Didn’t we wrap up the Ted/Robin storyline and see Barney put his Playbook days behind him? Platonish kicked off with Robin crying over her mother not being able to make the wedding. For a character who we’ve never seen and who Robin has barely ever talked about with her friends and fiance, Robin’s mother’s absence really hurt Robin. When Barney tried to treat his goal of making Robin stop crying as a challenge-accepted scenario, Robin and Lily pointed out that despite Barney’s boasting that he always completed the challenges that he accepted, there was the one time he failed to complete the challenge of bringing the girls diapers and samosas. 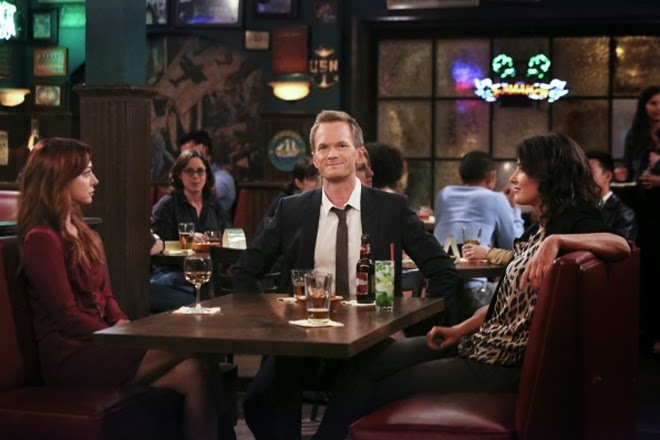 The episode now circled back to Barney’s habit of accepting challenges that he issued for himself, with Lily and Robin challenging him to accept challenges that they came up with. Barney accepted, thus beginning a string of missions that included getting a girl’s phone number while talking like a dolphin or while wearing a garbage bag and not using the letter E. Barney easily succeeded at this game, even managing to get the number of girl who thought she was waiting for Ryan Gosling … and was gullible enough to believe that Barney was Ryan Gosling, just with a Method-acting bit of plastic surgery. Lily and Robin’s final challenge came out of frustration on their parts, but it was the challenge that would change the course of HIMYM forever. Fed up with Barney’s ability to score phone numbers, the girls sent Barney off to the drugstore to buy diapers and some samosas while getting a girl’s number. While Barney was off on this very important challenge, Ted and Marshall were busy yelling at the refs for allowing the Harlem Globetrotters to cheat. Yes, the guys went to a Globetrotters game, and they were the only two wearing Washington Generals jerseys. 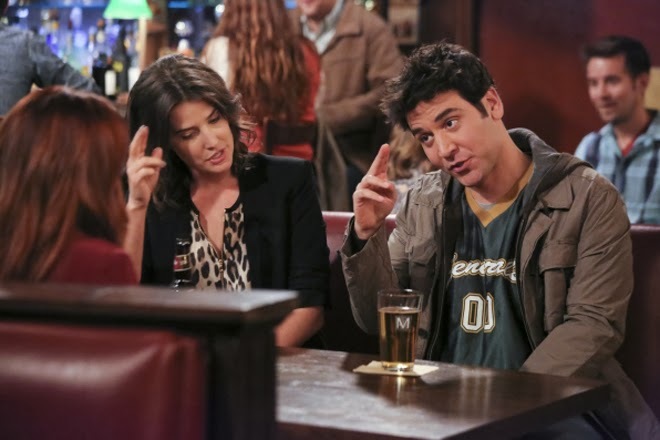 Partly because he believed Ted and Robin should be together and partly to win a five-dollar bet with Lily, Marshall prodded Ted on the notion that he could still be with Robin. In just twenty minutes, Marshall told his friend, he could win Robin over. In Marshall’s mind, those twenty minutes would be spent by Ted rushing over to the apartment and professing his love to Robin. In Ted’s mind, he would send Robin to the apartment roof while restealing (re-restealing?) the blue French horn. In Ted’s mind, though, Robin would once again reject him. In a very wise move, one that years of things not working out with Robin justified, Ted told Marshall that he would never be with Robin, as there was no chance she would change her mind about the two of them as a couple. Why would this time be any different? Back to Barney, who was moments away from getting the push toward a real life that he sorely needed. While at the drugstore and holding diapers and a bag of samosas, Barney hones in on girl to complete Lily and Robin’s challenge. For the first time, we’ve seen The Mother in pre-wedding weekend times. OK, so we’ve seen her ankle or held onto the belief that maybe she was that girl who Ted bumped into at a St. Patrick’s Day party, but this was it for real. Cristin Milioti and Neil Patrick Harris, playing out what would happen if Barney ever tried to hit on The Mother. And it was fantastic. It turns out Ted’s wife has the same knack for putting a lump in your throat with a speech about life. The Mother thanked Barney for attempting to get her number, but pointed out that she had a boyfriend (and had heard him refer to her as “a target” while talking to himself out loud). Then The Mother said something to Barney that caused his entire facade of brohood to come crumbling down. The Mother, talking to a complete stranger — a complete stranger who didn’t even make a great first impression — managed to offer a few kind words that also exposed the emotions that Barney had been trying to stifle with one-night stands and Playbook hookups. This shattered Barney, rendering him unable to move onto his next target. He took off after this strange woman and wound up opening up to her about how he screwed things up with Robin and how he regretted giving up on her. And, Barney pointed out, there was the fact that he was at the top of his pickup game. “Do you wanna keep playing or do you wanna win?” The Mother asked. With that, The Mother slipped away, having set into motion the wheels that would lead to the wedding where she and Ted would finally meet. Barney rushed home, leaving the diapers and samosas behind, and set to work writing the final page of The Playbook — The Robin. The kicker to this was that HIMYM mixed the scenes of Barney taking The Mother’s wisdom to heart with Ted telling Marshall how he believed he could still be with Robin, but that it would happen if it was meant to. Ted, the man who once made it rain to win over Robin, had decided that being with her wouldn’t take any of his time or attention or resources. In Ted’s mind, it would just happen. As the episode wrapped up, we jumped back to the Farhampton Inn, where Barney had finished telling the story of the nameless girl who inspired him to make Robin his wife. Ted, not knowing what the Universe had in store for him in a few days, looked absolutely crushed as he realized that his laidback approach to Robin was what allowed Barney to swoop in and seal the deal. Don’t worry, Ted, this is for the best. A butterfly flaps its wings, and it starts to rain, right? Oh, I should also mention that while at the Globetrotters game, Ted’s old boss, Hammond Druthers, called him with an offer to come work for him in Chicago. 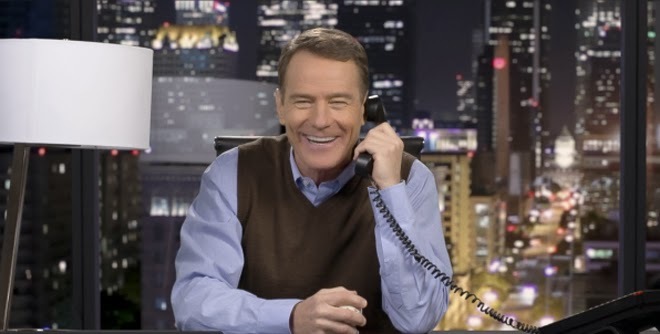 Despite Druthers channeling Heisenberg at times (an easy task when you’re played by Breaking Bad’s Bryan Cranston), Ted passed on his old boss’ job offer. The fact that Druthers told Ted that the door was always open makes me believe that Ted winds up accepting the job offer, which would be the job that Ted tells Lily that he’s moving to Chicago for. It’s unfortunate that the level of quality that Platonish delivered came from the fact that the episode lived almost entirely in the past, further demonstrating that HIMYM’s Season 9 story device isn’t all that great. As I’ve said before, the Farhampton Inn isn’t our home — MacLaren’s and the apartment a few floors above it are. That’s where we belong. Thankfully, Platonish took us back to those places with a purpose, weaving in The Mother’s storyline in a way that made her part of the gang’s history in a huge way. Milioti continued to show us why she was the perfect pick for this role, giving life to a character that really has never been more than an abstract concept. We’ve only seen her a few times, but Milioti instantly makes The Mother someone you root for. Next week, we’re back to the Farhampton Inn. Couldn’t we stay seven months in the past? I loved seeing Ted and Robin bring back their saluting joke. It annoys all of their friends, but it’s the kind of joke that two close friends would have in real life. More Marshall with his real friends. Less Marshall with Daphne. Barney includes Karate Kid’s William Zabka on his list of movie stars. If only he knew that in a few months he would get to meet his hero. That boyfriend The Mother mentions? That would be Louis, the guy who punches out Ted in Time Travelers (in Ted’s imagination, that is). Good thing Louis didn’t catch Barney trying to get The Mother’s phone number. Hammond Druthers isn’t nearly as terrifying as Walter White. And finally, that song at the end of Platonish? It’s Only Time by The Magnetic Fields.